When I started my mobile spa business this year I had to learn how to navigate the field of marketing. I have had network marketing businesses in the past, but this was different people have heard of so many of the network marketing companies and know immediately what the products are about when you say the company name. with my spa business I created the name and no one knew what it was. So I had to learn how to market and let people know I was offering my skincare and waxing services in a unique and different way. As I started researching marketing I kept seeing the term social media influence and wasn’t sure exactly what it was, but I felt confident that it would benefit me and my business. 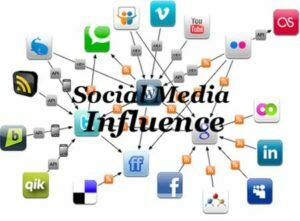 So I looked it up and learned that Social Media Influence is a marketing term that describes an individual’s ability to affect other people’s thinking in a social online community. The more influence a person has, the more appeal that individual has to companies or other individuals who want to promote an idea or sell a product. Once I realized that is what it was I was on-board. Yes, I need this, as do so many other companies with an online presence. And let’s be honest, these days if you don;t have an online presence your business will founder. The days of the yellow pages are gone. Everyone looks things up online and in many cases their decision on whether or not to eat at a restaurant or utilize a specific company is based on the reviews of that business. So businesses need a positive and wide social media presence. Enter Behrman Communications. Started by Nancy Behrman, Behrman Communications is a company that realizes that “An effective communications plan must also harness the infinite power of the internet – this is how news and product information is reaching almost three-fourths of adult Americans today. With Behrman Communications’ extensive relationships with influential online editors and bloggers augmenting our widely-ranging traditional media connections in concert with in-house social media experts, we are able to give our brands a true, multidimensional presence.” This is the way to do business in 2018 and beyond, and Behrman Communications realizes that. They are a company that can help move businesses forward with a social media marketing strategy with a local, national and global presence. In fact, according to an article on Forbes, 72% of millennials claimed they made purchases based on reviews on Instagram. Recognizing this, and using the experience she gained from her years in the public relations industry and building brands, Nancy Behrman and her team have successfully altered the public relations industry and utilized social media influencing to turn small ideas into multi-million dollar businesses with global recognition. 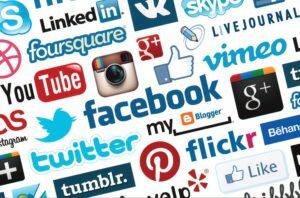 So if you have a business and you need help with social media influence and want to build your brand, you should check out Behrman Communications. Their Facebook and Instagram pages have beautiful pictures and lots of great information about brands. You can see their work and the quality that goes into each campaign they do.